Nothing says romance like red roses, which have been given for centuries as a symbol of love, courage and respect. 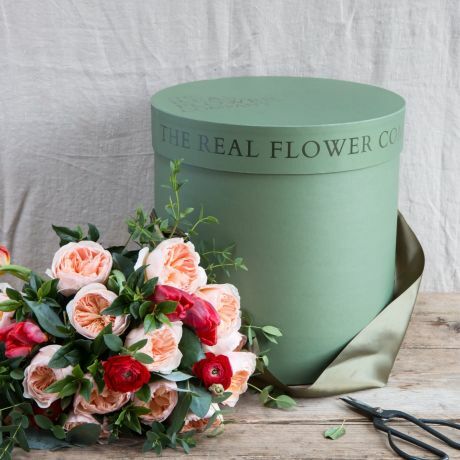 This artfully hand-tied bouquet of the finest red roses, aromatic lavender, herbs and foliage from our sustainable flower farms is guaranteed to delight, leaving a wonderful memory long after the flowers have faded. This Valentine's bouquet is available in a Small (12 Roses), Medium (24 Roses), Large (36 Roses), Deluxe (50 Roses) & ultimate (75 Roses). 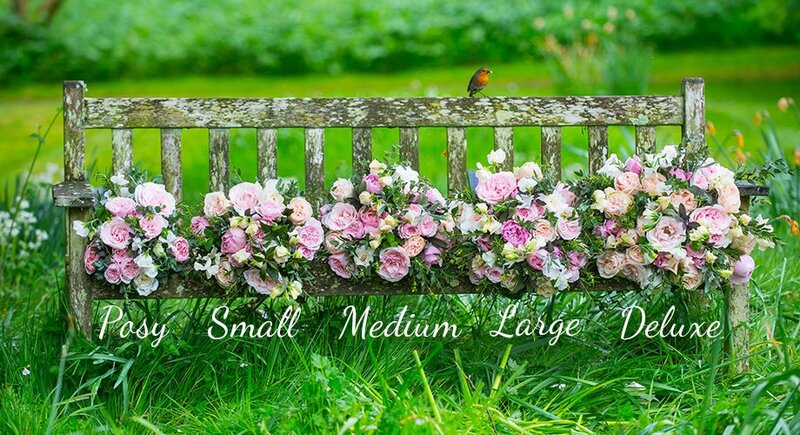 The image shown is a deluxe size bouquet.